David Ogilvie qualified in medicine from Cambridge and subsequently trained in general practice in Suffolk and then in public health medicine in the west of Scotland. He was a research fellow at the MRC Social and Public Health Sciences Unit in Glasgow before joining the MRC Epidemiology Unit in 2007. David leads the Physical Activity and Public Health research programme, which explores population-level approaches to the promotion of active living by evaluating the effects of environmental and policy interventions and understanding related patterns and mechanisms of behaviour change. His methodological interests lie in the design of population-level intervention studies and in evidence synthesis. He specialises in the relationships between transport, the environment, physical activity and health and leads an interdisciplinary group of researchers working in this area, particularly on the design and analysis of natural experimental studies such as the Commuting and Health in Cambridge, iConnect and M74 studies. 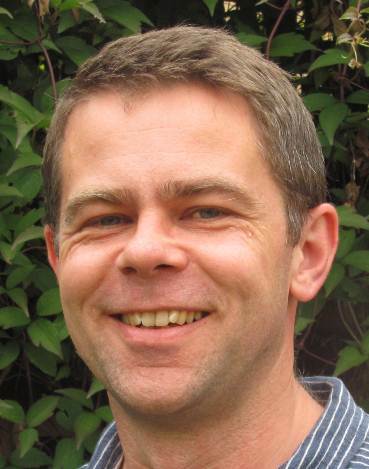 David also leads the evidence synthesis programme for the Behaviour and Health Research Unit. Medical Research Council. Physical activity and public health [intramural programme]. £3.5M, 1/4/15 – 31/3/20. Principal investigator. Economic and Social Research Council. Examining the reach and effectiveness of cycle training in schools using the Millennium Cohort Study. £65K, 1/12/14 – 31/1/16. Co-applicant. PI: Goodman A.
Lifelong Health and Wellbeing. Characterising patterns and changes in physical activity in older people and their determinants and consequences. £793K, 1/9/13 – 31/8/16. Co-applicant. PI: Griffin S.
National Institute for Health Research (NIHR) School for Public Health Research. Evaluating the impact of new residential environments on active living and well-being: scoping, feasibility and pilot study (RENEW). £302K, 1/1/13 – 31/5/15. Principal investigator. NIHR Public Health Research Programme. The M74 study: longitudinal follow-up of the health effects of a new urban motorway (Traffic and Health in Glasgow). £695K, 1/1/13 – 30/6/16. Principal investigator. NIHR School for Public Health Research. Cambridge Institute of Public Health membership of the School: £2.5M, 1/4/12 – 31/3/17. Co-applicant. PI: Brayne C.
MRC Population Health Sciences Research Network. Telling good population health science from bad population health science. £172K, 01/09/11 – 31/08/14. Co-applicant. PI: Macintyre S.
Department of Health Policy Research Programme. Policy Research Unit in Behaviour and Health (BHRU). £5M, 01/01/11 – 31/12/15. Co-applicant and lead for evidence synthesis programme. PI: Marteau T.
NIHR Public Health Research Programme. Health impacts of the Cambridgeshire Guided Busway (Commuting and Health in Cambridge). £1.3M, 1/1/10 – 30/2/15. Principal investigator. Department of Health Policy Research Programme. Evaluation of the Healthy Community Challenge Fund. £892K, 01/10/09 – 31/03/13. Co-applicant. PI: Cummins S.
UK Clinical Research Collaboration. Centre for Diet and Activity Research (CEDAR). £5M, 01/10/08 – 30/09/13; renewal: £4.2M, 01/10/13 – 30/09/18. Co-applicant. PI: Wareham N.
Engineering and Physical Sciences Research Council. Measuring and evaluating the travel, physical activity and carbon impacts of Connect2 (iConnect). £2.3M, 01/05/08 – 31/10/13. Co-applicant and lead for intervention case study work package. PI: Preston J. National Prevention Research Initiative. Availability of and access to physical activity opportunities and links with health behaviours and obesity among adults (APOLLO Scotland). £130K, 01/04/08 – 31/03/11. Co-applicant. PI: Ellaway A. Department of Health Policy Research Programme. Population tobacco control interventions and their effects on social inequalities in health. £206K, 01/11/04 – 30/04/07. Co-applicant. PI: Sowden A. Medical Research Council. Special training fellowship in health of the public research. £151K, 01/09/04 – 31/08/07. Supervisor: Petticrew M.